SOCHI, Russia – Patrick Moynihan (Millis, Mass.) 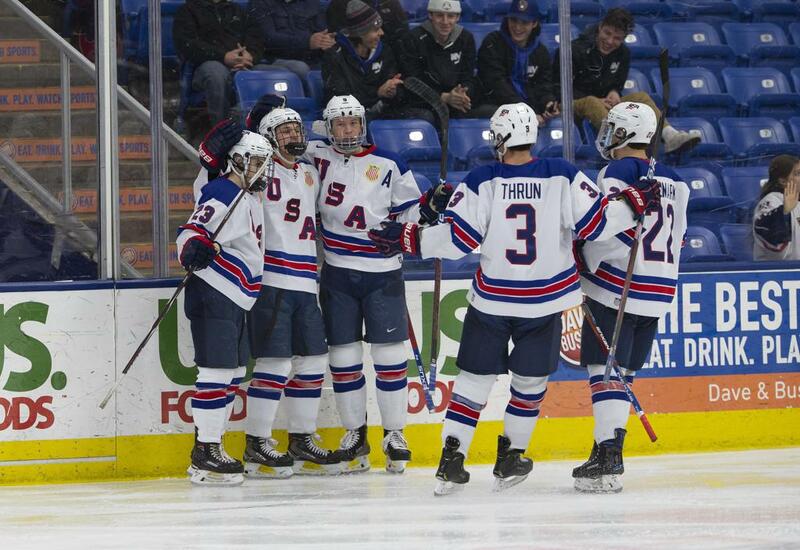 recorded a hat trick in the U.S. National Under-18 Team’s 8-2 victory over the Czech Republic on Friday evening at the Iceberg Skating Palace. Owen Lindmark (Naperville, Ill.) opened the scoring 6:30 into play with a rebound goal from the slot. Moynihan capitalized on a loose puck in the crease with 1:45 remaining in the first frame, providing Team USA with a two-goal lead entering the first intermission. Moynihan extended the lead with 8:48 left in the middle frame when he fired a quick shot from in between the circles after a turnover in the Russian zone. Danny Weight (Lattingtown, N.Y.) made it 4-0 just 1:07 into the final stanza before Cole Caufield (Stevens Point, Wis.) converted on the power play 3:26 later. The Czech Republic got on the board with 8:58 remaining in the game, bringing the score to 5-1. 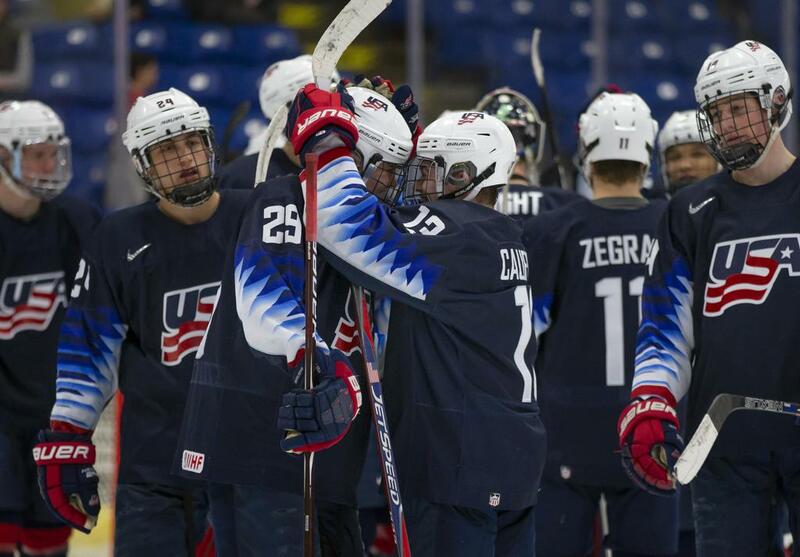 The final five minutes contained a Czech Republic goal and three from Team USA, including Trevor Zegras (Cicero, N.Y.), Sean Farrell (Hopkinton, Mass.) and Moynihan’s third of the evening completing his hat trick, accounting for the 8-2 final. Spencer Knight (Darien, Conn.) stopped 14 of 16 shots faced. Team USA returns to the ice against Russia in its final game of the 2019 Under-18 Five Nations Tournament at 10:30 a.m. ET on Saturday at the Iceberg Skating Palace. NOTES: The U18s went 1-for-3 on the power play and killed off all four penalties they faced ... Team USA outshot the Czechs by a 44-16 margin ... 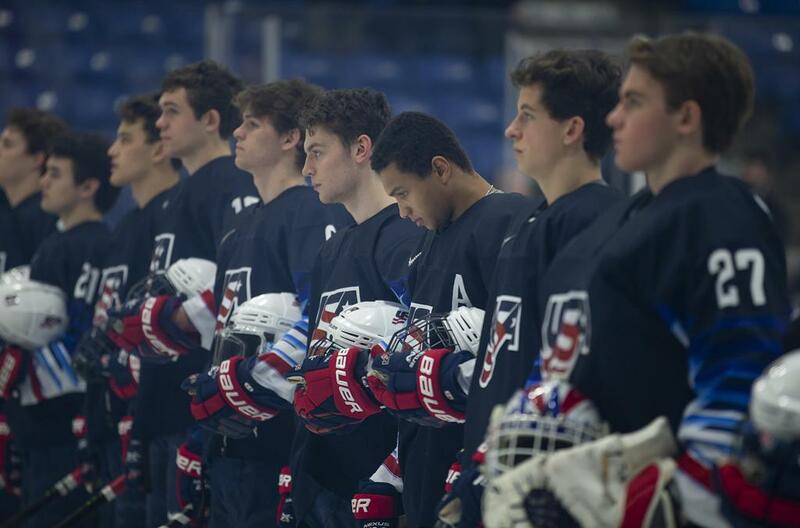 Follow @USAHockeyNTDP on Twitter for tournament updates and join the conversation on social media by using #5NationsU18 … John Wroblewski leads the U.S. National Under-18 Team along with associate coach Dan Hinote (Elk River, Minn.), intern assistant coach Kevin Lind(Homer Glen, Ill.) and goaltending coach Thomas Speer (Sancsville, Wis.).